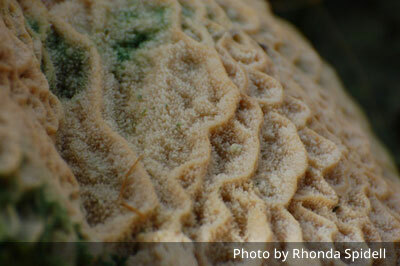 The image shows the mosaic burn pattern. 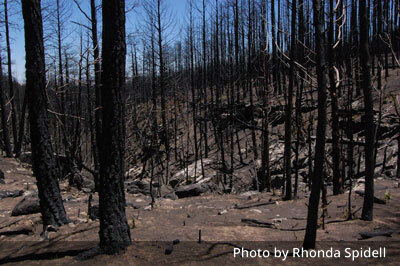 You will notice that some areas were severly burned and others expereinced low severity burns. The Rio San Antonio was a meandering creek with deep banks before the Las Conchas fire. 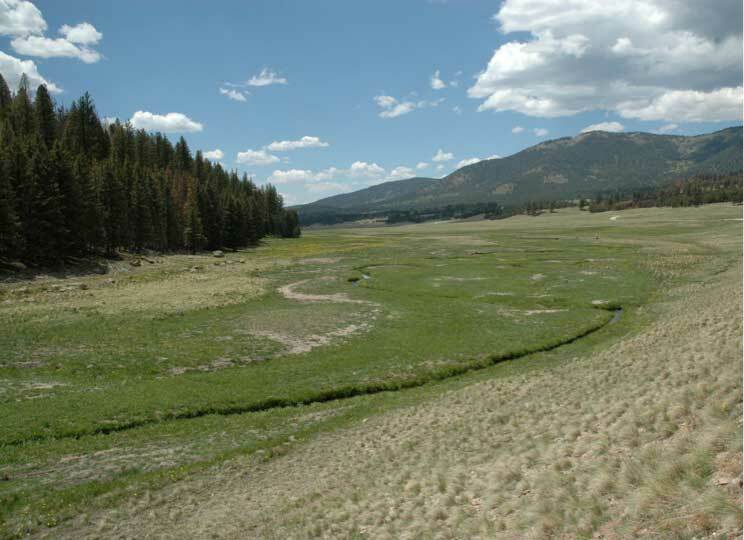 The watershed in the Valles Caldera National Preserve is dominated by snow pack. 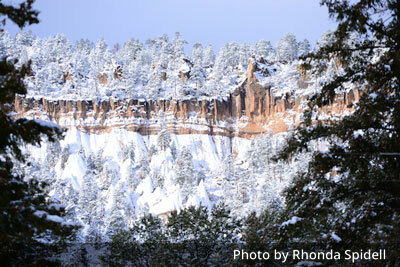 These cliffs are composed of Bandelier Tuff which was created during the Valles Caldera eruption. Clouds of the Valles Caldera. 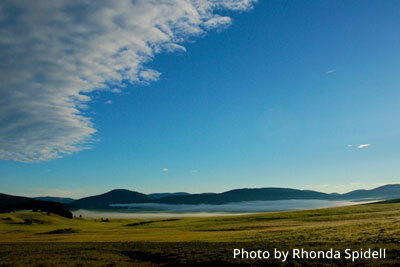 In the early morning low lying stratus cloud are often seen in the Valles Caldera. The cloud formation occurs locally due to the moisture coming off of the marsh areas in the Valles Caldera. 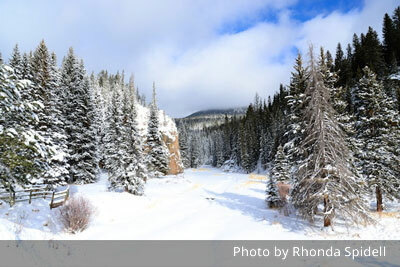 Read more about Clouds of the Valles Caldera. 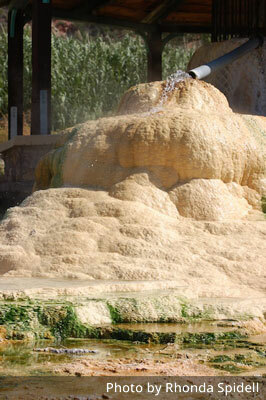 The deep hydrothermal springs bring dissolved minerals to the surface and as they are deposited formations called travertine are fomed. 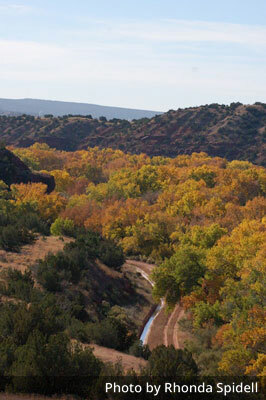 The canyon that follows the Jemez River is a blaze of yellows, oranges and reds during the fall season. 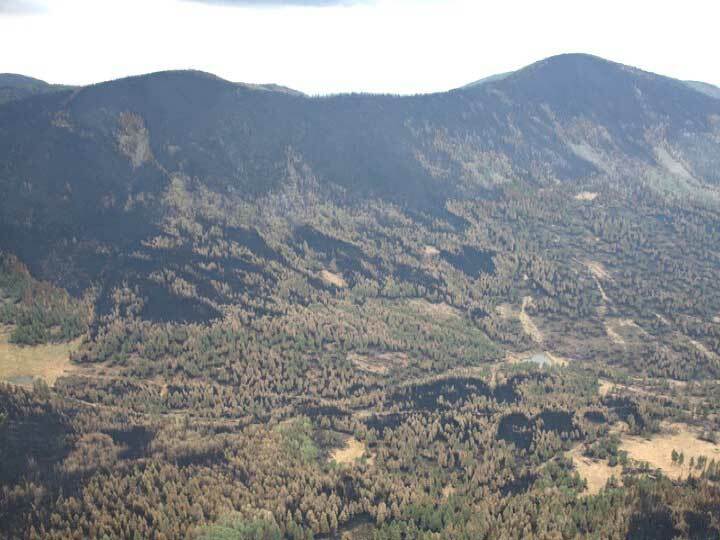 The Las Conchas Fire impacted one-half of the Valles Caldera National Preserve and left behind a mosaic pattern that included a range from high to low severity burns. 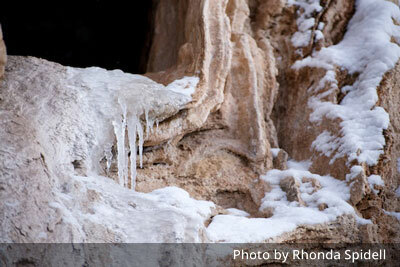 Over time, the calcium carbonate build-up can create a terraced look as seen in the photo.